traumatic brain injury research and exchange ideas. research barriers, and the future direction of research. Settle in and say hello to those around you. It's just about time to get down to business. Hear from the Key Opinion Leaders' mentees, and U-M investigators, about their current TBI research. Hear from the Key Opinion Leaders' mentees about their current TBI research. Grab a bite to eat and then take a behind the scenes tour of Michigan Stadium. Go Blue! 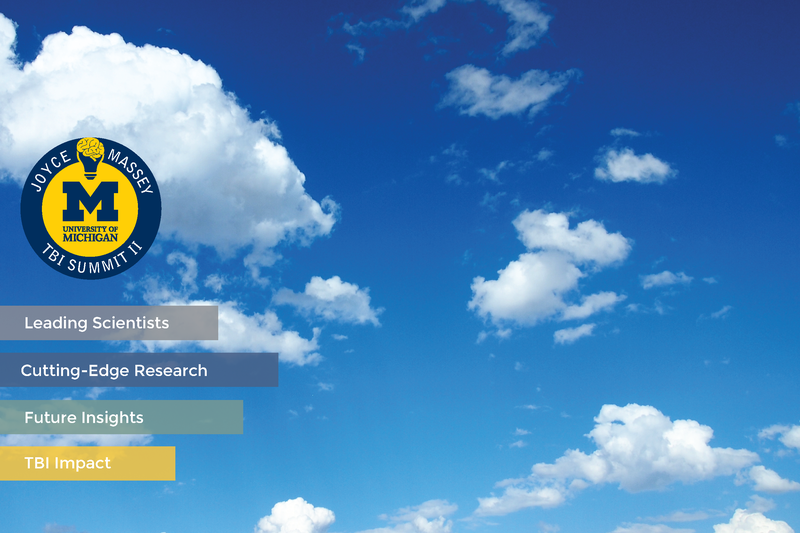 Hear from U-M Grand Challenge-funded investigators about their current TBI research. Lightning Rounds with the Key Opinion Leaders as they talk about what they think are the biggest barriers to advancing the field. Discuss research priorities with the Key Opinion Leaders and your fellow attendees. Plenty of opportunity for Q&A so come prepared. Grab some one-on-one time with the Key Opinion Leaders, their mentees and your colleagues! Gold, Blue, Yellow and Visitor parking available. Thank you to the Joyce and Don Massey Family Foundation for making this event possible.